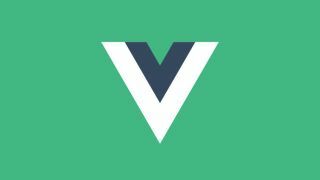 +$As with any component-based library, managing state in Vue can be tricky. While the application is small, it’s possible to keep things in sync by emitting events when values change. However, this can get brittle and prone to errors as the application grows, so it may be better to get a more centralised solution in from the start. +$If you’re familiar with Flux and Redux, Vuex works much the same. State is held in one centralised location and is linked to the main Vue application. Everything that happens within the application is reflected somewhere within that state. Components can select what information is relevant to them and be notified if it changes, much like if it was part of its internal state. +$A Vuex store is made up of four things – the state, getters, mutations and actions. The state is a single object that holds all the necessary data for the entire application. The way this object gets structured depends on the project, but would typically hold at least one value for each view. +$To avoid overcomplicating things, the store can also be broken up into individual modules that look after their own slice of the state. +$Vue supports using dynamic imports to define components. These return Promises, which resolve to the component itself. The router can then use that component to render the page like normal. These work alongside code splitting built in to webpack, which makes it possible to use features like magic comments to define how components should be split.